Read what's in the cards for your zodiac sign this week! Welcome to the week of April 22! Each week a card will be pulled for your zodiac sign, offering the guidance and insight needed to maximize your opportunities and avoid any obstacles headed your way. 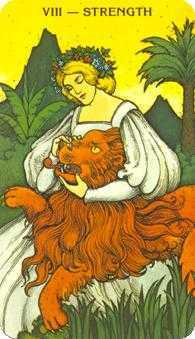 Reveal the message the Tarot has for YOU now! The Emperor is encouraging you to have total ownership of your true power! Your life experiences have helped you gain incredibly valuable wisdom and insight. How can you use this to help yourself? How can you use this to help others? This week you might be asked for guidance or advice from someone close to you -- don't shy away. Alternately, you may be faced with a difficult personal decision. Don't worry, you now have the kind of knowledge and perspective that will help you navigate either of these scenarios with positive results. 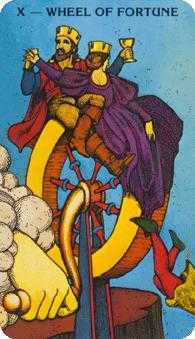 The Wheel of Fortune reminds you this week that life is full of ups and down. 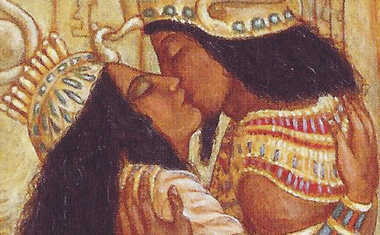 If you've been going through a problematic time in your life, this card could signal an end to this difficult period. 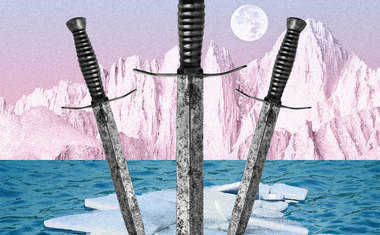 If you've been going through a prosperous period, things could soon return to normal. Don't lament this change -- it is a natural part of growth and a natural part of life. Every experience you have serves a purpose in your understanding of yourself and your situations. 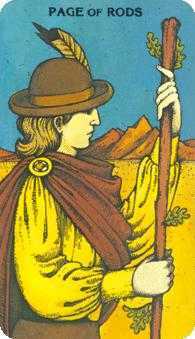 Let this card serve as a reminder to embrace the ebbs and flows of life. This week you're being encouraged to tap into your potential this week! 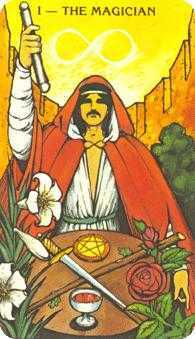 The Magician is recognizing that the entire world is at your fingertips, because you have everything needed to get what you want. This week you are being called to align this powerful source of inner magic with your goals -- anything can truly happen! Looking for a new job? Trying to form a romantic connection? Trying to improve your cash flow? Don't be afraid to fo for it, because you are a manifestation machine right now! The Page of Wands wants you to embrace your more free-spirited side this week! Sometimes it's easy for us to get stuck in our routines or to keep going along with what's most comfortable for us. However, there's so much more to life left to explore! What is that you've been wanting to do but thought you couldn't? No dream is too big or small right now. When you combine your passion with your enthusiasm, the sky will truly be the limit for you. Don't give up just yet! 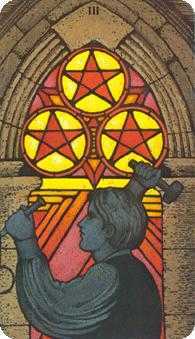 Your card this week, the 7 of Pentacles, is reminding you that anything worth having can't be achieved overnight. Perhaps you've been working on a project or area of your life and haven't yet reaped the rewards of your efforts. Understandably, this has been a source of frustration for you. Remind yourself that this wasn't a task you could have been finished overnight and take pride in the effort you've already put forth. Your hard work and patience may not have paid off just yet, but they will soon enough. 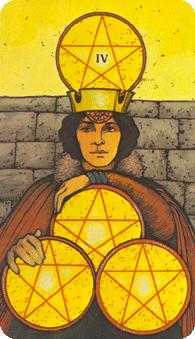 The 4 of Pentacles wants you to focus on your relationship with money this week. Are you saving your money, while also still indulging in life's little luxuries? Or are you hoarding every penny you have because you're afraid you're going to lose everything? Examine what is driving this mindset. Don't allow your feelings around finances to distract you from effectively managing your wealth and setting yourself up for long-term success. You can have fun now, while still having security later. Have you had your head in the clouds recently? 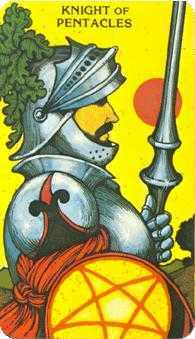 The Knight of Pentacles is urging you to come back down to Earth this week and apply effort to your ideas this week. Maybe you've been suffering from a case of "all talk and no action." Alternately, you could be putting off your day-to-day responsibilities in favor of more exciting offers. No matter what your situation, you're being encouraged to create a plan of action or stick to a routine as progress is best achieved through discipline. You can breathe a little bit easier, because relief has arrived this week! 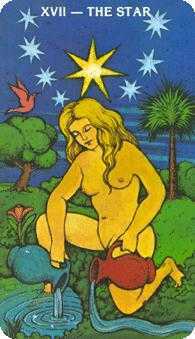 The Star is signaling a reprieve after a period of great change or difficulty. While this turmoil has not been easy for you to go through, you have been able to endure whatever challenges life has thrown your way. What lessons have you learned? What were you able to let go of that was holding you back? How will you move forward differently? Now is the time to shed the old you, so you can emerge as the person you were meant to be. Lucky you! 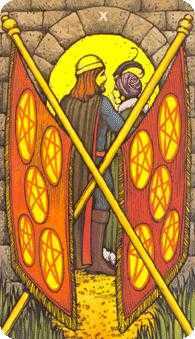 The 10 of Pentacles represents security, as well as success and accomplishment. Have you not been properly recognized for your professional efforts? Has it felt like the universe has put one obstacle after another in front of you? Has money been tight? Have you felt deflated in matters of the heart? Well, good news has arrived! You could finally see things coming together for you this week in one or more of these areas, rewarding you with a sense of satisfaction for staying the course no matter how tough things were. This week could be all about new beginnings for you! 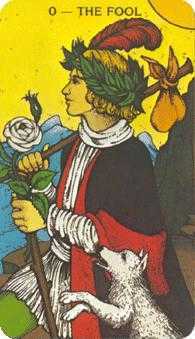 The Fool represents the start of a journey and embracing the unknown. If you've been wanting to move in a brand-new direction, this is your signal from the universe to finally go for it! Yes, exploring uncharted territory can be scary. It's always so much easier to stick with what you know. However, your safety zone is not where the greatest growth and fulfillment happens. Throw out the road map and take a leap of faith. You could end up somewhere better than you expected to. 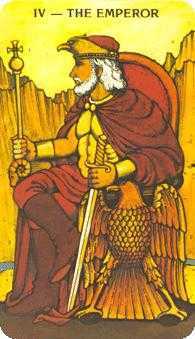 The Strength card is signaling that you have the inner fortitude needed to gracefully navigate a difficult situation in your life. It's easy to get lost in emotions like anger, sadness, fear, or shame, but you're being called to rise above that this week and remain calm in this time of adversity. Don't act on your base instincts. Instead, embrace your more compassionate and forgiving side. This allows you to become a silent warrior who remains in control not only of yourself but the situation as well. 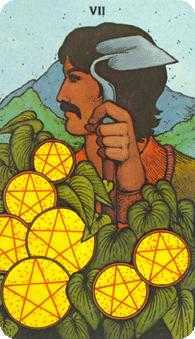 The 3 of Pentacles wants to acknowledge that you're on the right track! Are you working toward something new right now? This card is encouraging you to keep going. Regardless of how grandiose this idea is, you have the skills and capabilities to make it happen. This week is the time to do your homework and prepare, creating a comprehensive plan if you don't have one already. And don't be afraid to reach out to others for help -- teamwork could take you farther than you expected.